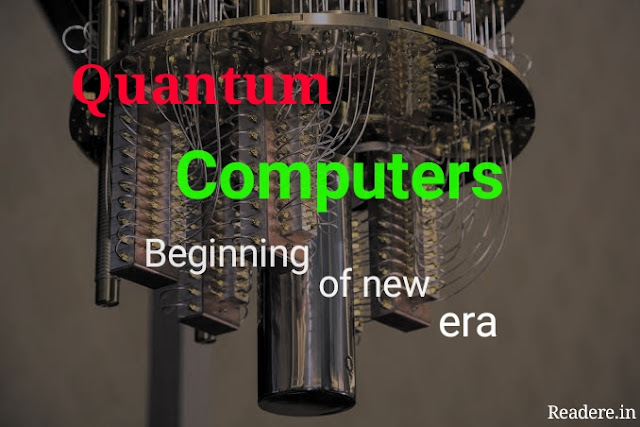 Have you heard about Quantum computers? Have you heard the word Quantum? Alright. Here is a brief description of what the quantum mean does. Quantum simply means particles at subatomic level or Nano-level. Now some of us might be remembering our schools days, “Yes, we had been taught something like that! Quantum....quantum ...yes! Quantum physics." Let's come to the main topic. "Those computers which work on the principle of quantum phenomena." Actually, there is no such word like Quantum-phenomena. The actual word is Quantum-mechanical-phenomena. I just wrote that to simplify. Superposition and entanglement are some of the Quantum-mechanical-phenomena. You write superposition formula mathematically. That's so simple. But do you know what does this represents in the physical world? No? Ok, let me tell you. At subatomic level (Are you getting me? subatomic level, that means very small scale) subatomic particle like electrons, photon etc. can exist at multiple positions at the same time. Yes, if you're getting me then surely you might be thinking that it is strange. But if you're already aware of it then surely it will seem normal to you despite its bizarre nature. I'm sure you have been clicked an idea how it works in the physical world. Now, There is one more property like this, Quantum entanglement, this property of subatomic particles is more mysterious and strange than the previous one, which is superposition. If two entangle particles kept separated at a distant position even at opposite edges of the universe. Despite it, they are connected by some strange medium or something mysterious. How do you know that they are connected? If one particle has spin-up, then by auto other would have spin-down and vice-versa. Now, what are you thinking? Oh! Perhaps you would be thinking how does it work? Right? Well, this is not about its working logic and anyway, if I'd discuss it, then surely it will divert me from the main topic. So, I suppose now you have been aware well of basic of those two properties. Well, Quantum computers take advantage of strange properties of the quantum particle. Their fundamental block of information is 'Qubit' unlike bits as in classical computers. The difference is simple if one who has cleared the concept of two property above. As in classical computers, either the state is on or off (0 or 1), never both. But in Quantum computers, the state can either be 1 or 0 or both (01). Yes! A fundamental block of information can exist at the same time in Quantum computers. That's where superposition works. It stands for 'Massive Parallel Processing'. Classical computers can function either with on a state or off state. Meanwhile, Quantum computers can function with both states. It checks out all the numbers of possible outcomes. It is sequential means off state have to wait until on state is there. This type of functionality is done in classical computers. That's why they can't handle huge parallel processing. On contrary, Quantum computers can handle massive parallel processing. What can a Quantum computer do at most that classic one can't? Simply, It can even be used to break public-key cryptography which used the RSA scheme. If you don't know about public-key cryptography or RSA, click here. However, Quantum computers are not used on a major scale. They are still in the research phase. We hope an era of new-generation computers will start soon. Well, there are still more topics left to be covered but I think this is enough as for intro.